With its drawers and inside shelf, this handcrafted end table will provide a luxurious look with practical storage. 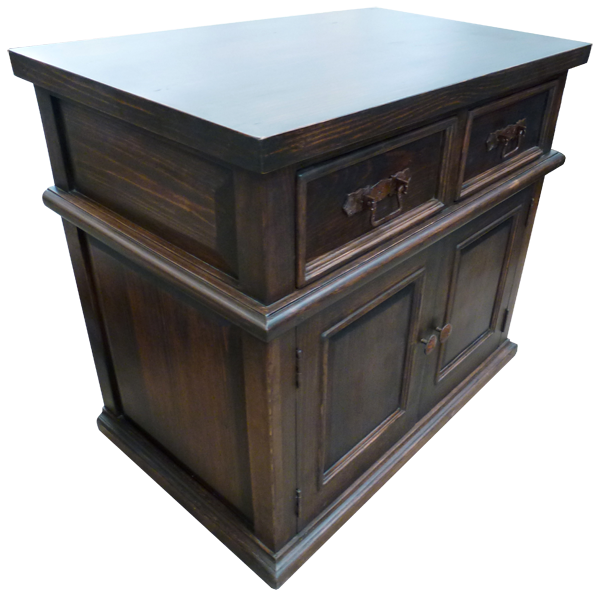 The table top and body of this end table have a beautiful, dark stain which will blend easily with your existing furniture. 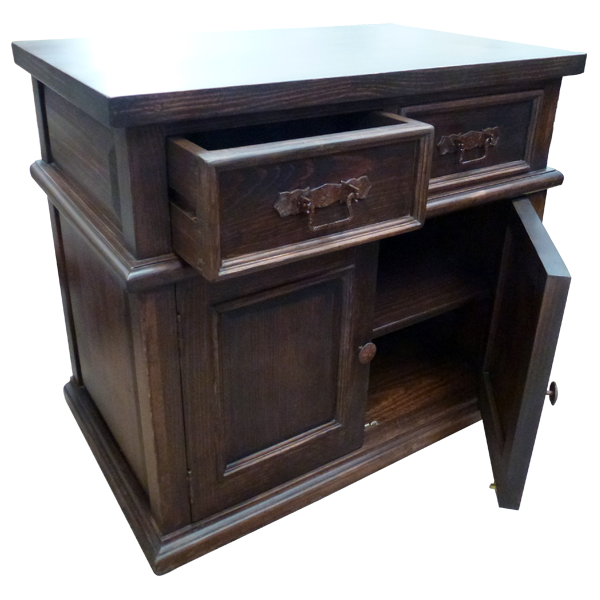 Directly below the top are two drawers, each with a cut, rectangular design, and both drawers are embellished with a hand forged, iron handle. 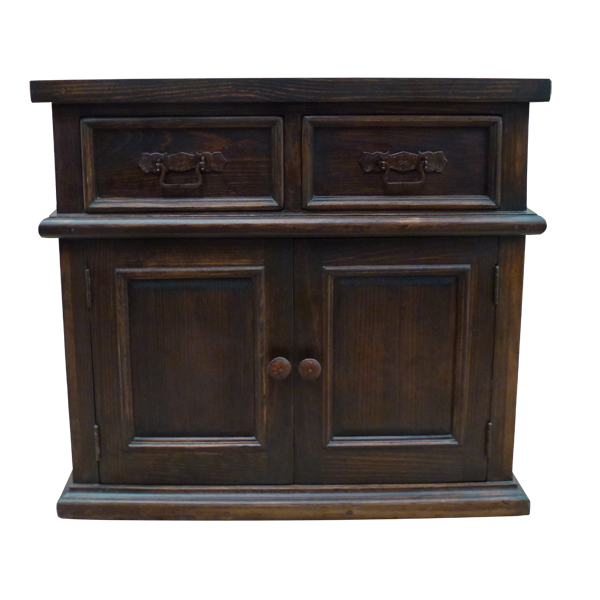 The end table has two cabinet doors, and each door has a cut, rectangular design on its front. Both cabinet doors are adorned with a hand forged, iron pull handle. The end table rest on a lovely, wood molding base. Made with the best, sustainable, solid wood available, it is 100% customizable.